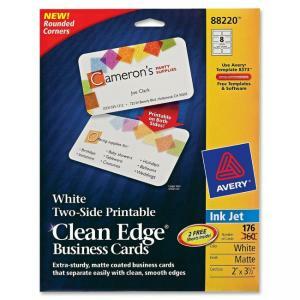 Media Size: Business Card - 2" x 3.50"
Two-sided, printable business cards help you capitalize on new business prospects. The nonperforated, two-sided cards are extra sturdy and separate easily with clean, smooth edges and rounded corners for a standout way to promote yourself and your company. 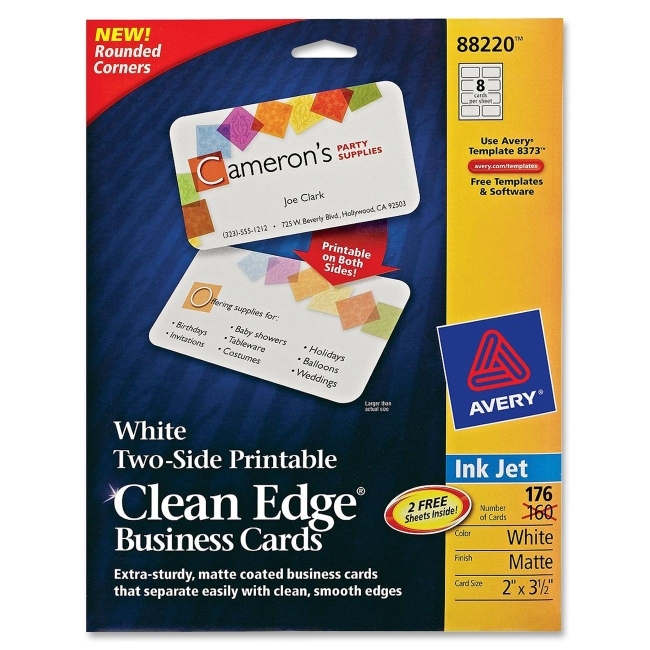 With Clean Edge, cards snap apart with no perforations and no cutting. Take advantage of free blank and online predesigned templates to design and print professional-looking business cards from your inkjet printer in minutes. Print on one side or both sides. High-quality, heavyweight cardstock is optimized for vibrant color and sharp text. Each letter-size sheet creates eight cards, and each card measures 2" x 3-1/2".